Time flies when you are having fun. It’s been a while since we posted an update on our website, and that’s not because nothing has been happening! We have been having a busy time in recent weeks doing some very varied “gigs”. At the end of October we found ourselves performing twice in the space of a few days at Wembury Village Hall (in the South Hams) for different events. Nice venue once we had found it, but quite a challenge to the navigating skills in the dark. We now proudly tell people that we have headlined at Wembury twice, and hope they think we said Wembley. Then it was off to Cargreen in Cornwall to celebrate Trafalgar Night at their Sailing Club. We have become firm fans of Trafalgar Night celebrations; some serious nautical history in the background but combined with people determined to have a great time. It’s as if New Year’s Eve has arrived in October. November got off to a flying start with the Tars providing the entertainment at the opening of the international conference of the Association of Environmental Archaeologists at Plymouth University. It was reassuring to see that people from around the globe who spend a lot of time studying fossilised chicken droppings know how to let their hair down. That was followed by our annual contribution to the Remembrance Day service in St Andrews Church in our home village of Bere Ferrers-always a moving experience, and an opportunity to perform something other than our usual repertoire of shanties and songs of the sea. On the 16th November we were in Clovelly in North Devon for the annual Herring Festival. Clovelly is such a lovely location, and the Festival is always so well organised. And we get to sing on what must be one of the most spectacular “stages” in the land- a balcony on the front of an old sail loft which looks out over the harbour and the Bristol Channel. If that doesn’t make you want to sing a shanty nothing will! Most recently we were in Lyme Regis helping our good friends at Seasalt celebrate the first anniversary of the opening of their shop in the town. 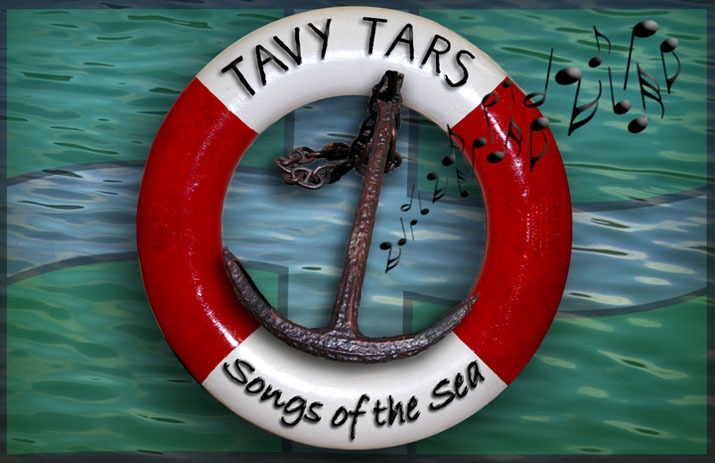 That gave us the chance to try out a couple of new numbers which have a flavour of Christmas to them .Seasalt had caused an outburst of creativity amongst the Tars by asking if we had any “Christmas Shanties” they could use on their website. The answer was no, but within a few days we had recorded three offerings which have become part of our “seasonal offering”. We now have the “Christmas Shanty” sung to the tune of “The Leaving of Liverpool”; “We saw Three Ships” sung to the tune of John Kanaka; and “What shall we do with the Drunken Santa” which needs no further explanation!